Did you ever want to grow your own pear tree? Collecting pear seeds to start your own tree from scratch is a simple and enjoyable process. Anyone can learn how to save pear seeds using a sealable container, some peat moss, a cool storage space and a bit of patience. Pear seeds, like many other fruit tree seeds, rarely produce the same pear as the original fruit. 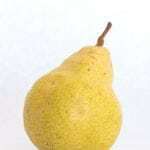 This is because pears reproduce sexually and, just like humans, they have a lot of genetic diversity. 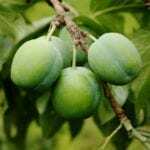 For example, if you plant a seed from a Bosc pear, grow the tree and harvest its fruit ten to twenty years later, you will not get Bosc pears. The pears may even be tasteless or inedible. So grower beware; if you really want to have a Bosc pear, you would be better off grafting a branch from an existing Bosc pear tree. You’ll get exactly what you want and a lot faster. But maybe you feel experimental and don’t care whether the fruit is exactly the same. You want to know when and how to harvest pear seeds anyway. The right time for collecting pear seeds is when the seeds are mature, and this is when the pear is ripe. Some pears ripen earlier in summer and others later in the season. Pick the ripe pear and eat it. Keep the seeds and wash away the pulp. Place the seeds on a dry paper towel for a day or two and let them dry out a bit. That is all. Wasn’t that easy? 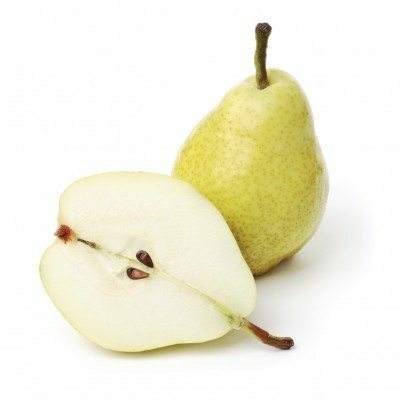 It isn’t really recommended that you save pear seeds for a long period of time. Even if pear seeds are stored perfectly, they lose viability over time. If you nevertheless want to save them for a year or two, store them in a breathable container in a room with low humidity so they don’t get moldy and rot. Consider using a jar with a mesh lid. Place the seeds in a sealable plastic bag with peat moss or sterile potting soil. Label and date the plastic bag and put the seeds in the refrigerator for four months. This refrigeration process mimics what would happen in the wild if the seed overwintered in the soil. Check the seeds periodically and keep them just moist. After four months you can plant the seeds in in a small pot in sterile potting soil one inch deep. Place only one seed per pot. Put the pot(s) in a sunny spot and keep the soil moist. The seeds should germinate and produce green growth in three months. After the pear trees grow one foot tall, you can place them in the ground. Congratulations! You now know how to save seeds from pears. Good luck in your growing adventure.